In her debut poetry collection, Echo in Four Beats, Rita Banerjee demonstrates mastery of controlled language and shrewd observation. From depictions of the world’s smallest fragments of wonder to an investigation of its vast expansiveness, Banerjee’s breadth of intrinsic compassion reverberates in each poem. A finalist for the Red Hen Press Benjamin Saltman Award, Three Mile Harbor Poetry Prize, and Aquarius Press / Willow Books Literature Award, Echo in Four Beats conveys an understanding of nature, human connection, literary and historical novelties, and intercontinental divides unlike any other. Each poem is unique and compelling in its voice and persona, identities that shapeshift and morph across state lines, borderlands, and oceans. There is agility to the lyricism, images taking shape among lines that swing like pendulums and pivot like spinning tops. Stanzas are built with intentional precision that will drop you into the moments of experience, scrutiny, and enchantment that shudder and reverberate. 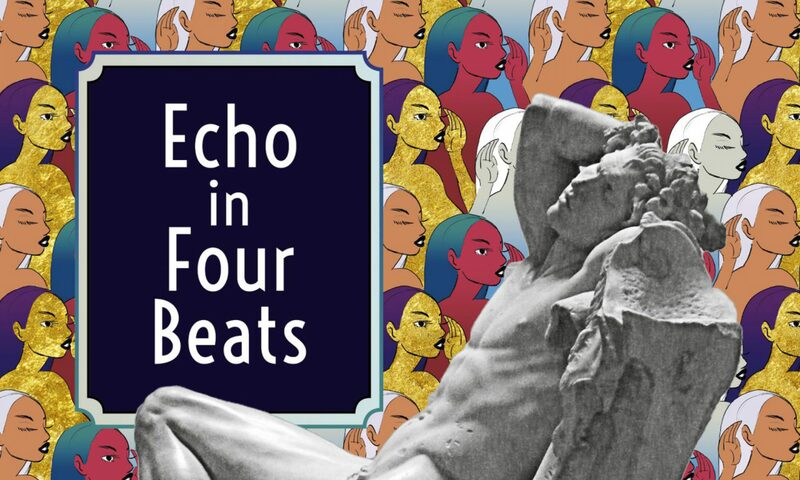 Read Grunow’s full review of Echo in Four Beats here, and order Echo in Four Beats (March 9, 2018) from Finishing Line Press here.